For those of you poor deluded souls who are long term readers (or long term “receivers of e-mail that you file under the ‘read while anaesthetised’ folder”) you will remember that I talked about producing a zombie game some time ago and was crawling around the house to work out how fast you could travel as a legless zombie. Some of you (well, one of you – thanks, Mark) has even sent me appropriately English pictures to put into my London-based game. Yet, as you can see, there is not yet a game. I play a number of board games but, before you think “Oh no, not Monopoly!”, these are along the lines of the German-style board games, games that place some emphasis on strategy, don’t depend too heavily on luck, may have collaborative elements (or an entirely collaborative theme), tend not to be straight war games and manage to keep all the players in the game until the end. What I failed to mention, you might notice, is that I expect these games to be fun. As it turns out, the first design for the game actually managed to meet all of the above requirements and, yet, was not fun in any way at all. I realised that I had fallen into a trap that I am often prone to, which is that I was trying to impose a narrative over a set of events that could actually occur in any order or any way. Ever prepared for a class, with lots of materials for one specific area, and then the class takes a sudden shift in direction (it turns out that the class haven’t assimilated a certain foundation concept) and all of that careful work has to be put away for later? Sometimes it doesn’t matter how much you prepare – life happens and your carefully planned activities get derailed. Even if you don’t get any content surprises, it doesn’t take much to upset the applecart (a fire alarm goes off, for example) and one of the signs of the good educator is the ability to adapt to continue to bring the important points to the learner, no matter what happens. Walking in with a fixed narrative of how the semester is going to roll out is unlikely to meet the requirements of all of your students and if something goes wrong, you’re stuffed (to use the delightful Australian vernacular, which seems oddly appropriate around Thanksgiving). In my head, while putting my game together, I had thought of a set of exciting stories, rather than a possible set of goals, events and rules that could apply to any combination of players and situations. When people have the opportunity to explore, they become more engaged and they tend to own the experience more. 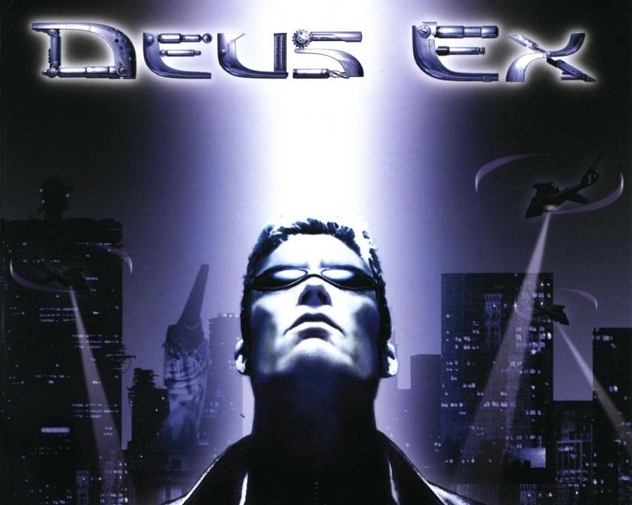 This is what I loved about the game Deus Ex, the illusion of free will, and I felt that I constructed my own narrative in there, despite actually choosing from one of the three that was on offer on carefully hidden rails that you didn’t see until you’d played it through a few times. Still my favourite computer game! Apart from anything else, I had made the game design dull. There is nothing exciting about laying out hexagonal tiles to some algorithm, unless you are getting to pick the strategy, so my ‘random starting map’ was one of the first things to go. London has a number of areas and, by choosing a fixed board layout that increased or decreased based on player numbers, I got enough variation by randomising placement on a fixed map. I love the game Arkham Horror but I don’t play it very often, despite owning all of the expansions. Why? The set-up and pack-up time take ages. Deck after deck of cards, some hundreds high, some 2-3, have to be placed out onto a steadily shrinking playing area and, on occasion, a player getting a certain reward will stop the game for 5-10 minutes as we desperately search for the appropriate sub-pack and specific card that they have earned. The game company that released Arkham has now released iPhone apps that allow you to monitor cards on your phone but, given that each expansion management app is an additional fee and that I have already paid money for the expansions themselves, this has actually added an additional layer of irritation. The game company recognises that their system is painful but now wish to charge me more money to reduce the problem! I realised that my ‘lay out the hexes’ for the game was boring set-up and a barrier to fun. The other thing I had to realise is that nobody really cares about realism or, at least, there is only so much realism people need. I had originally allows for players to be soldiers, scientists, police, medical people, spies and administrators. Who really wants to be the player responsible for the budgetary allocation of a large covert government facility? Just because the administrator has narrative value doesn’t mean that the character will be fun to play! Similarly, why the separation between scientists and doctors? All that means is I have the unpleasant situation where the doctors can’t research the cure and the scientists can’t go into the field because they have no bandaging skill. If I’m writing a scenario as a novel or short story, I can control the level of engagement for each character because I’m writing the script. In a randomised series of events, no-one is quite sure who will be needed where and the cardinal rule of a game is that it should be fun. In fact, that final goal of keeping all players in the game until the end should be an explicit statement that all players are useful in the game until the end. The games I like are varied but the games that I play have several characteristics in common. They do not take a long time to set-up or pack away. They allow every player to matter, up until the end. Whether working together or working against each other, everyone feels useful. There is now so much randomness that you can be destroyed by a bad roll but there is not so much predictability that you can coast after the second round. The games I really like to play are also forgiving. I am playing some strategy games at the moment and, for at least two of them, decisions made in the first two rounds will affect the entire game. I must say that I’m playing them to see if that is my lack of ability or a facet of the game. If it turns out to be the game, I’ll stop playing because I don’t need to have a game berating me for making a mistake 10 rounds previously. It’s not what I call fun. I hope to have some more time to work on this over the summer but, as a design exercise, it has been really rewarding for me to think about. I understand myself more and I understand games more – and this means that I am enjoying the games that I do play more as well! I like interesting strategy games. Would love to know which have kept your interest for more than a few rounds. nice post, i really like it ..